Bingeing – according to the dictionary – is a period of excessive indulgence in an activity, especially drinking alcohol or eating. 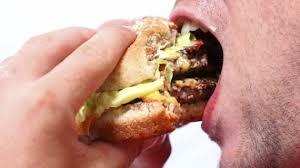 It is splurging and overindulgence, this shows that bingeing is not a normal situation. Over the years bingeing had included other activities apart from eating like excessive shopping and excessive watching. It is good to note that these activities (binge eating, drinking, watching and shopping) are all to cover up issues, bingeing is mostly mental/physical disorder and an escape route from some negative emotions. When there is a compulsion to do any activity in excess, check it. 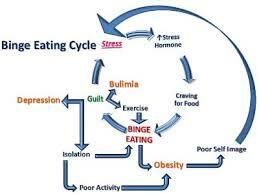 Binge happens within a short period and it is attached with so much guilt after the act. 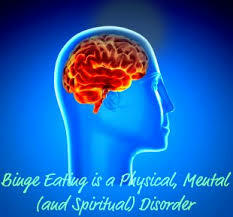 Whichever way binge appears, they all have common causes and can be treated – mind over matter. According to Greatist Expert, there are 3 major causes of binge activity whether pizza, booze, sales clearance or seeing all episodes and seasons in a day (even a desire for new things like me). 1. Psychological – this may include stress, anxiety and depression, loneliness. Bingeing while experiencing these act as an escape, a means to numb an unhappy feeling. Like me when I am depressed, I want new stuff around me. Something new enough to take my mind off the problem but it is always momentary. The cycle is endless because when the binge activity ends or fades away, the problem re-appears and another round of binge starts. 2. Chemical – there is a great impulsive feeling of fulfillment at the moment of a binge activity. Expert says dopamine – feel-good chemical – released by the brain can cause a physical addiction and in turn binge more because we crave the rush of this chemical. The secretion seems to suppress the negative emotions for the moment. 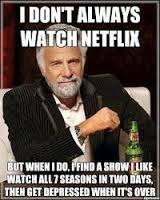 Since the problem is still present, we binge more and more. 3. Societal – the societal demands takes a toll on a lot of us. Media show us fitspo and thinspo that does more harm than good to our self and body images. The pressure to lose weight and fit in could start and when the scale doesn’t move, bingeing to suppress the un-acceptance by the society sets in. When a binge feels imminent then THINK model is the answer (according to Dr. Michael Mantel) True, Helpful, Inspiring, Necessary or Kind. For example an impulse like “I must buy that now” doesn’t exactly fit the THINK bill. Self treatment is okay when binge issue is mild but when it is caused by depression or other mental disorders, talk to a doctor or a support group about it. For me, whenever I binge I know there is an issue on my mind that I am suppressing. It maybe an issue that I NEED TO and CAN solve e.g. a heap of dirty laundry, dirty dishes, a nagging colleague, a difficult boss. But some issues are beyond me and those I avoid or wait for solutions to come. My binge episodes ranges from eating big portions, eating anything in sight, mostly taking sugary stuff, wanting to buy something new and unplanned snacks. I plan to start with mind over matter which I do often but the will to stop even when I become conscious is what I need now.